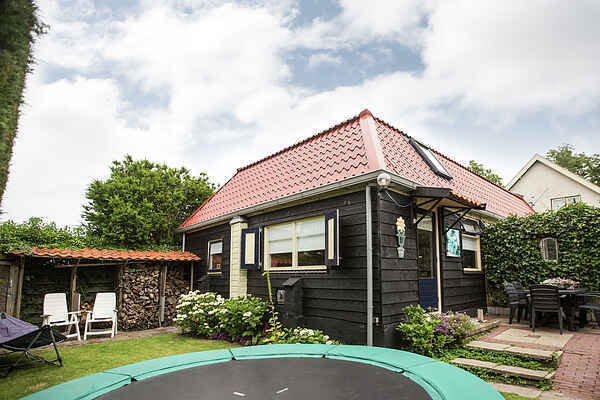 This holiday house is located directly along the North Holland canal(a perfect place for fishing) and only 3km from the clean and wide Northsea. The house is neat, suitable for maximum 5 persons and peaceful situated. In the surrounding you have many possibilities. What about a visit to the beach, a cycling trip through the bulb fields, or a day to the cheese market? Furthermore, within several minutes you will find diverse towns with many possibilities: At Medemblik you can visit a castle Radboud. In Schagen a West Frisian Folklore market is kept. From Den Helder you can go to Texel with the ferry, or visit the Jutters market. You can also visit the museum in Enkhuizen, Keukenhof in Lisse, Volendam and Amsterdam from here. In short, during you stay in this house, you most definitely do not have to get bored !.